Pliant Technologies (Booth C8548) presented a paper titled Managing the Spectrum Crunch at a Broadcast Engineering and Information Technology Conference (BEIT) session during NAB 2019. The paper covered the current landscape of not only the traditional UHF spectrum, but also alternative bands that may be used for production wireless equipment. The paper, written and presented by Pliant Technologies’ Vice President of Technology Tom Turkington, discussed how the usable UHF spectrum for wireless production equipment is at a premium due to reallocation via FCC auctions, as well as rule changes and growing production requirements. That part of the UHF spectrum that does remain for use by wireless microphones, wireless intercom, and the like has become far more crowded. Wireless production professionals are being forced to make changes in the way they utilize and allocate spectrum for growing production needs. In addition, the paper looked at techniques for more efficiently using the available spectrum as well as methods to ensure reliable wireless equipment operation. These techniques include managing link margin, selecting and placing antennas, setting device priority, understanding the different types of frequency coordination, matching device types to available frequency bands, and more. Turkington boasts 35 years of RF and wireless technology experience in product development and design as well as in field application work. 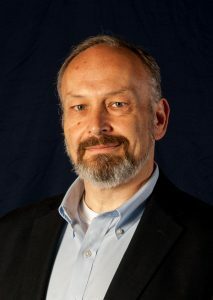 Tom began his RF career in the U.S. Navy as a technician working on guided missile RADAR systems. As Rental Manager for Systems Wireless, he performed system design and RF frequency coordination for low power UHF devices for major facilities and events such as the NFL, World Cup Soccer, Winter and Summer Olympics, Democratic and Republican National conventions, and many others. Today, as Vice President of Technology for CoachComm, Turkington leads the group responsible for the research and development of wireless products such as the award-winning Tempest wireless intercom, CrewCom wireless intercom, and X-System wireless coaching communication system. He brings with him a wealth of theoretical as well as real-world RF and product development knowledge as it relates to the specific challenges of designing and producing products for the broadcast and live production communication professional.